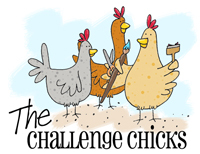 A blog post I wrote about one of our egg-eating snake incidents was re-published on Community Chickens, a website published by Ogden Publications, who bring us great magazines such as Mother Earth News, Grit, Utne Reader, etc. You can read the article on the Community Chickens site here, and you will find my original post (which shows more photos) here. I'm thinking about selling postcards in a couple of our town's shops ... what do you think? I will use some of my Texas Wildflower images, and probably a field of sunflowers or two. And, perhaps a shot of some longhorn cattle in a field of bluebonnets. I have a photo published in the May/June 2011 issue of GRIT, and received a spare copy of the magazine from the publisher. I don't need two copies of the magazine for myself, so I thought I would do a give-away for the spare. If you'd like to enter the drawing for a copy of this issue, leave me a note! I'll choose a name at random on Friday morning, April 22. Ogden Publications publishes magazines and books on self-sufficiency, sustainability, and rural lifestyles, and Grit is a leading national magazine featuring subjects on rural America, gardening, recipes, livestock, and farm living. I love the magazine myself (as well as Mother Earth News, another Ogden publication), so it's a perfect fit! I'm delighted to be a contributing blogger -- and who knows, maybe I'll have an opportunity to have some of my photos published, too! Wouldn't that be fun! To celebrate, I'm giving a free 1 year subscription to Grit Magazine to one lucky winner! Simply leave a comment on this post, and tell me what YOU would like to see in my blog posts on Grit. On Sunday, June 13th at 8:00pm Central, I will choose 1 LUCKY name from all comments. Be sure you leave your name and email in your profile details so I can put you in touch with the nice folks at Grit! Apron Cards and Template: Published! A few months ago, the folks at The Stamper's Sampler asked to publish my apron template for their monthly challenge. The template was featured in the October/November 2009 issue. When I sent them the template, I also included a few samples using the template. Submissions to the magazine using the template are featured in the recently released April/May 2010 issue. I was quite pleased to see the samples I sent to them included in this month's issue! If you would like to make your own apron cards, you are welcome to use my template. Have fun with it! Be sure to come back here and provide a link to your finished card! I'd love to see your creations! PS: You can see another card using the template on this blog post. I don't submit for publication very often, but it is very exciting to see something I made in a national magazine. Working with the folks at Stampington & Co is enjoyable -- and I appreciate being featured in their magazines. Look for the February/March 2010 issue of The Stamper's Sampler on shelves now. It must have been about a year ago when I received an invitation to be a contributing artist for the Cornish Heritage Farms Thomas Kinkade How To Guide Book. I was (and still am) thrilled to have been part of this project! The book features many of the Thomas Kinkade images and a variety of techniques using the stamps. I was asked to demonstrate a coloring technique. Being such a sucker for watercolor painting, I chose to demonstrate watercolor painting with liquid inks. For my project, I chose one of my favorite images, The Light of Peace. The book is a wonderful mix of techniques including chalks, markers, pencils, and even some embossing techniques. You can read more here. When I received my complimentary copy of the book, I was even MORE excited when I saw that one of my images made the cover! How exciting! Thank you, Cornish Heritage Farms, for the wonderful opportunity! I received my comp copy of the latest Stampers' Sampler Take Ten magazine from Stampington. They did a three-page "doodling" special feature article using my cards. Thanks to the Stampington folks for the fun publication opportunity! I am so thrilled to have several of my holiday felt ornaments featured in the recently released in Stuffed: a gathering of softies (volume 2)! Volume 1 of the magazine was super, and still sits on my desk to enjoy. 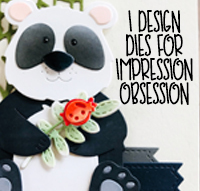 Volume 2 is JUST as fun -- you won't believe the creative creatures featured in this issue! This is a must have mag for anyone who loves to dabble in, or wants to dabble in, softies of all kinds! The magazine can be ordered directly from Stampington & Company, and might also be found at your local Borders or Barnes & Noble. Not too long ago I hinted at a special project I was working on, but couldn't share it with you yet... Well, seems that now I can!! Shortly after CHA (Craft & Hobby Association convention) in January, I was interviewed by the ever-so magnificent Warren Greunig and asked to be a featured artist in Scrap & Stamp Arts magazine. How fun is THAT! I expected the article to publish a bit later in the year, but come to find out that it's in the current issue! 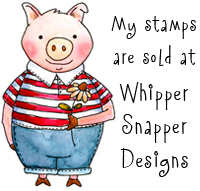 Thanks to Scrap & Stamp Arts and to Warren for the opportunity to be featured! What a THRILL!